Every Possible Blue by Matthew Thorburn, whom I interviewed for 32 Poems, will be published by CW Books in May. His poems read like paintings that visually leap from the page to create vivid scenes in the readers mind, from moments in a Jazz club with trumpets blaring to mannequins in the stores down Fifth Avenue in New York. Moreover, these poems have the feel of the 20s and 30s with references to Greta Garbo and Barbara Bel Geddes. It is like stepping back and forth in time to experience what has past and what is still vivid and relevant today, while at the same time creating a “blue” mood, a longing for the simpler moments of the past. Chanel No. 5 letting go of someone's taut tan wrist?" From "Self-Portrait in Secondhand Tuxedo"
my waistcoat pooching over my waist. the pale bud in my button-hole.  . . . Readers will like when Thorburn directly references the paintings described or referenced in his poems as they can search the internet and gaze at images while reading. Like many of the scenes in his poems, there are mundane situations afoot, but with at least one element that is surprisingly awkward, which can be the narrator himself or other scene stealers. There is a great deal of upheaval here and yet there is a sense of hope that continues to propel the narrator forward, and some of that can be attributed to the alliteration in some of these poems that make them musical and continuously moving (i.e. “Upper West Side Toodle-oo”). What readers will love most about Every Possible Blue by Matthew Thorburn is the tug-of-war that happens between the past and future, lost faith and renewed hope, and failure and new opportunity. A very human collection that delves into the internal struggles we face daily at every turn and yet still find a way to move forward. Matthew Thorburn is the author of three book of poems, Every Possible Blue (CW Books, forthcoming 2012), This Time Tomorrow (Waywiser Press, forthcoming 2013) and Subject to Change (New Issues, 2004), and a chapbook, Disappears in the Rain (Parlor City, 2009). 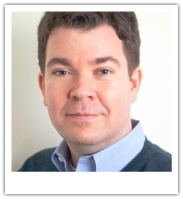 He is the recipient of a Witter Bynner Fellowship from the Library of Congress, as well as the Mississippi Review Prize, two Dorothy Sargent Rosenberg Poetry Prizes, and fellowships from the Bronx Council on the Arts and the Sewanee Writers’ Conference. His poems have appeared in literary journals such as The Paris Review, American Poetry Review, Poetry, Prairie Schooner, Poet Lore, Michigan Quarterly Review and Pool. He is a regular contributor to the reviews section of Pleiades. His critical writing has also appeared in Jacket, The Laurel Review, Poetry Daily, Rowboat: Poetry in Translation and Rattle, among others. A native of Michigan, Matthew Thorburn has lived in New York City for more than a decade. He is currently working on two new projects: a book-length poem that tells the story of one year, and a collection of poems about losing faith and possibly finding it again. 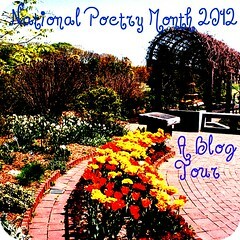 ***For today’s National Poetry Month Blog Tour stop, visit Travis Laurence Naught on Facebook. 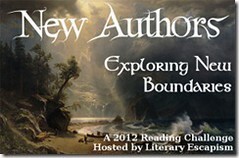 This is my 33rd book for the 2012 New Authors Challenge. 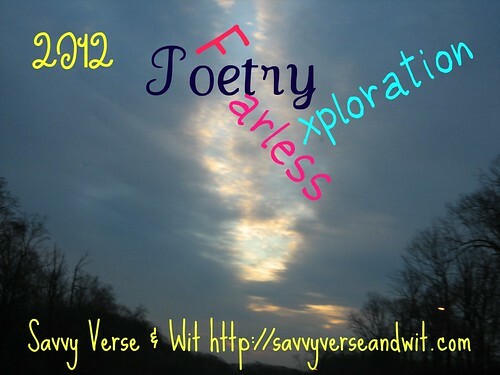 This is the 15th book for my 2012 Fearless Poetry Exploration Reading Challenge.